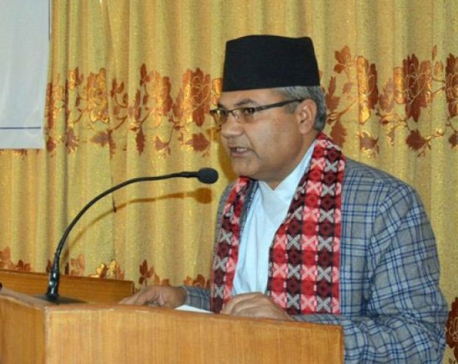 KATHMANDU, Mar 13: Minister for Industry, Commerce and Supplies, Matrika Prasad Yadav, has urged Nepali private sector to focus on increasing production capacity rather than holding a discussion on increasing exports. 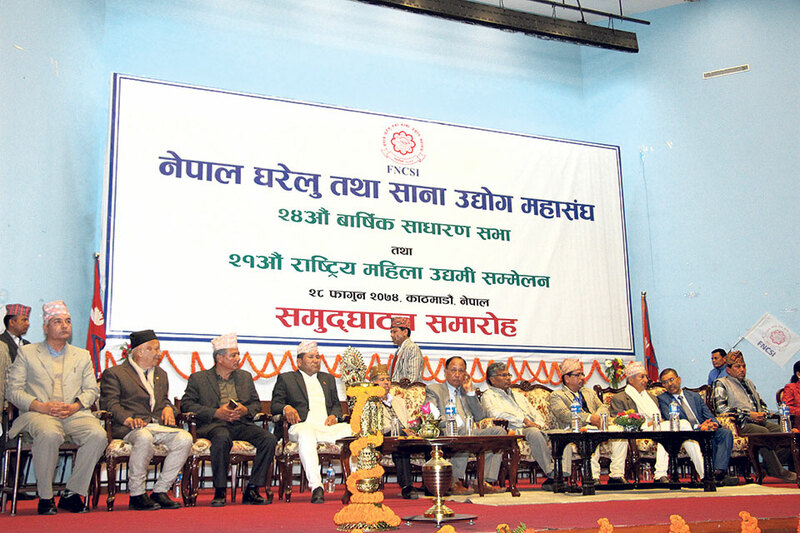 Speaking at the inauguration ceremony of 24th Annual General Meeting (AGM) of Federation of Nepal Cottage and Small Industries (FNCSI) and 21st National Women Entrepreneur Conference in Kathmandu on Monday, Yadav said that entrepreneurs keep talking about the need to increase exports but do not prioritize production. He also said that the government and private sector, as well as general public, should work together to bring friendly policy and strategy to increase industrial productivity and boost exports. “We have to utilize our available resources,” he said, adding: “Efforts should be made to open agro-based industries.” He also urged the private sector to invest in new technologies and prepare new strategies to boost industrial production. “I may not have experience in the industrial sector. But I have a vision. The government and the private sector should work together to promote industrial production,” he said, expressing commitment to give his best efforts to promote entrepreneurship in every household of the country. 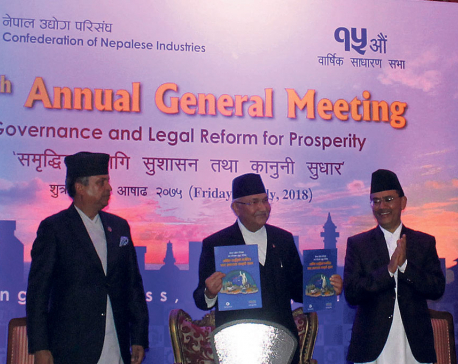 Speaking at the event, Minister for Finance, Yuba Raj Khatiwada, said that the government will extend all possible support to the private sector. "Come up with your strategies for entrepreneurship. I assure you the government will support you to bring technologies and investment to take your products to the market and even promote it in the international market," Khatiwada added. He also said that the agro productions and small industries should be promoted to create jobs in the country.